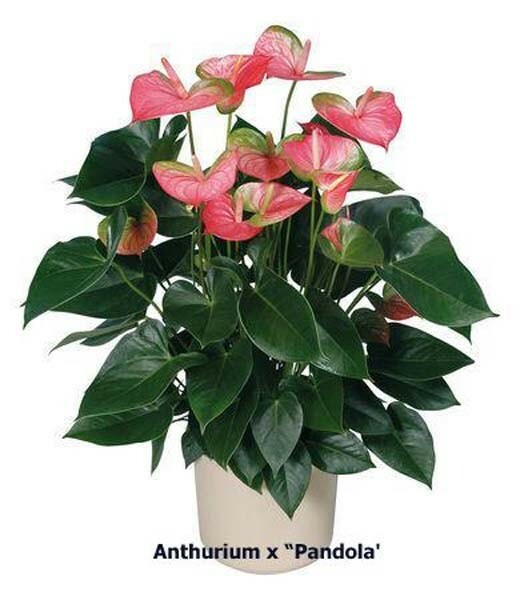 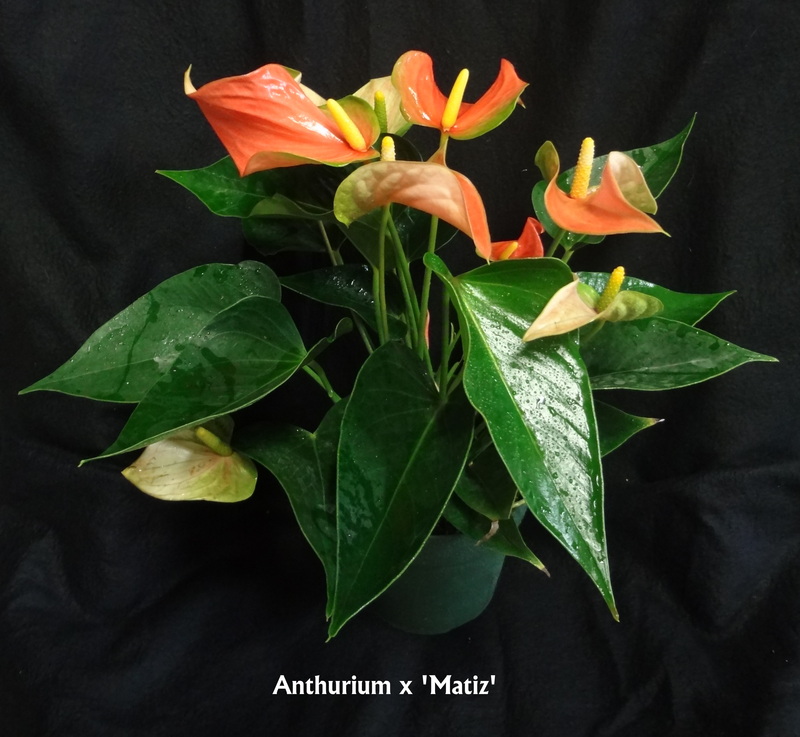 The genus Anthurium is a large and diverse group of plants spreading accross the Americas from Mexico to South America and the Caribean Basin. 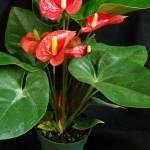 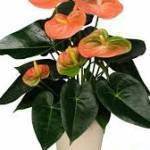 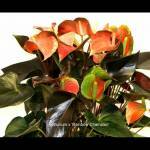 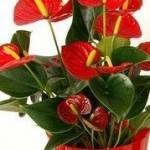 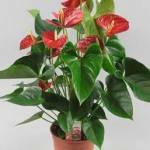 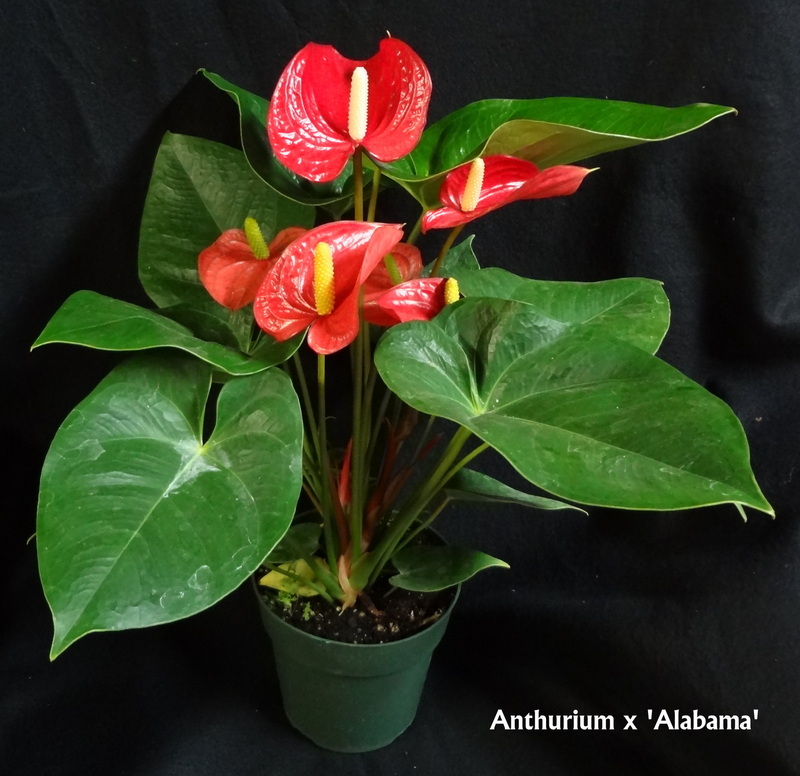 Although most people associate Anthuriums with showy red and orange spathes (bracts) of Anthurium Andreanum. 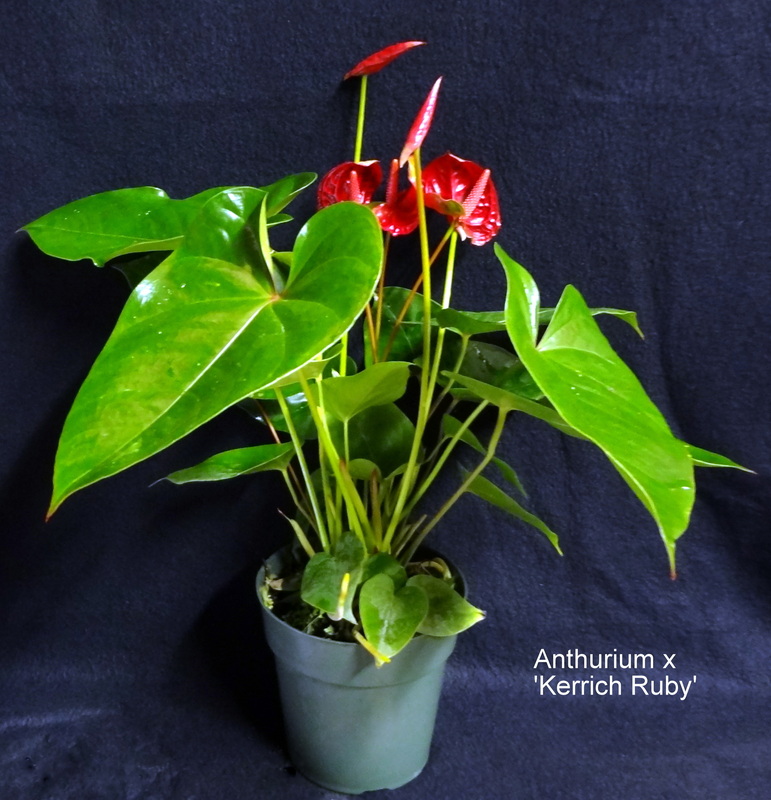 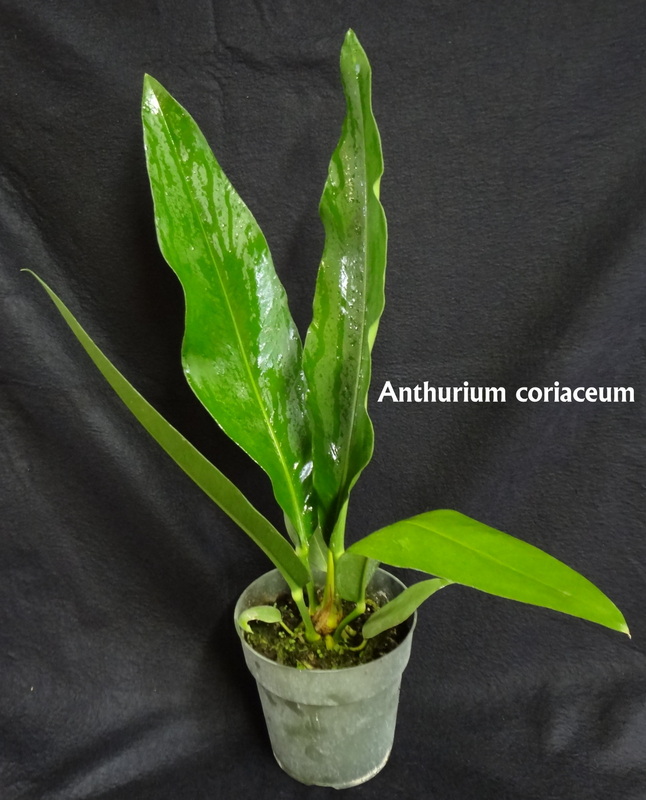 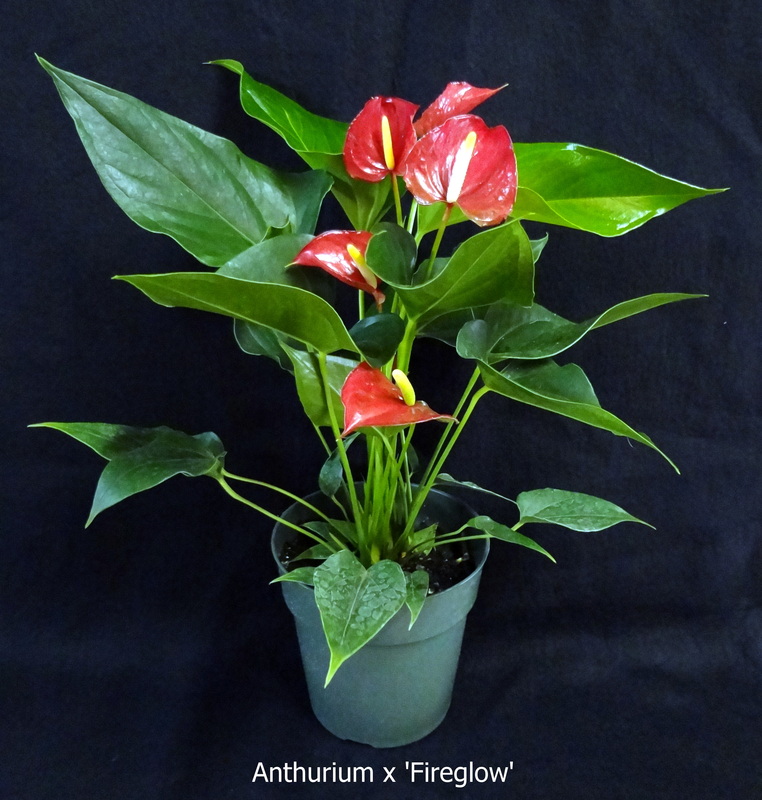 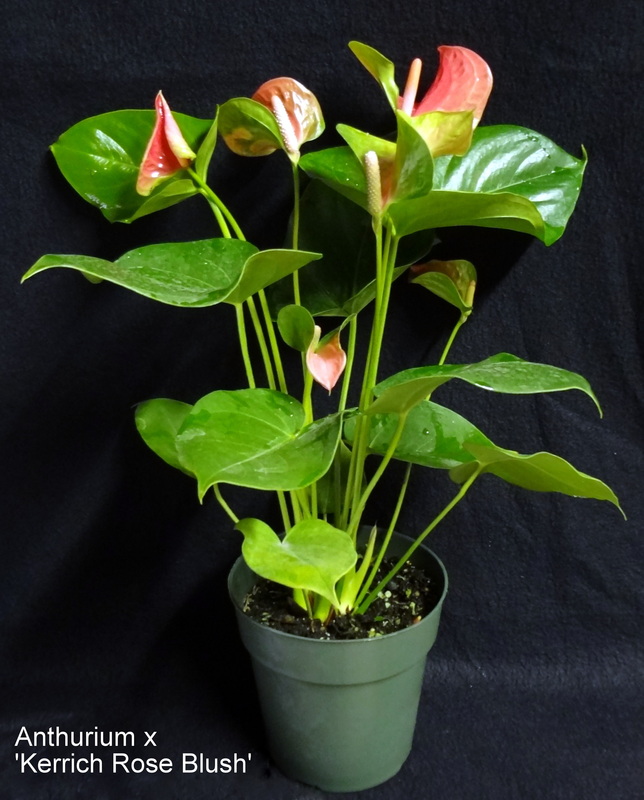 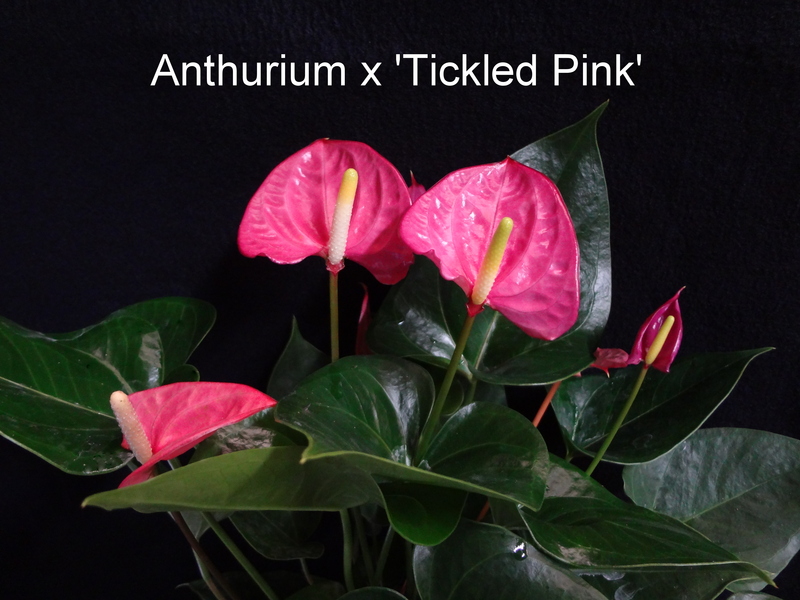 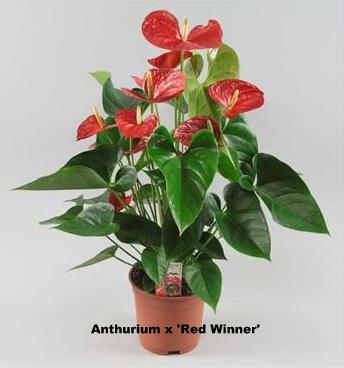 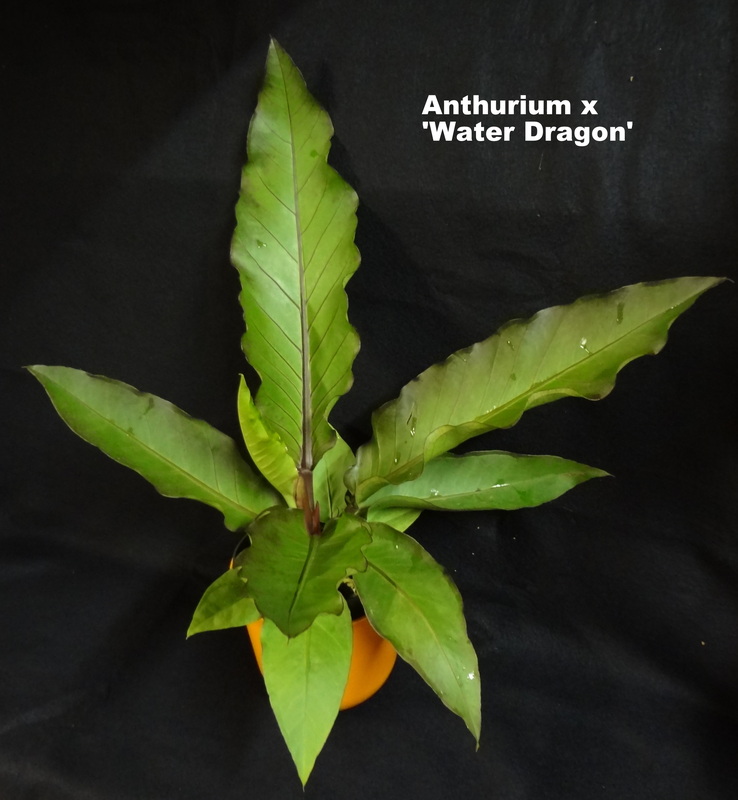 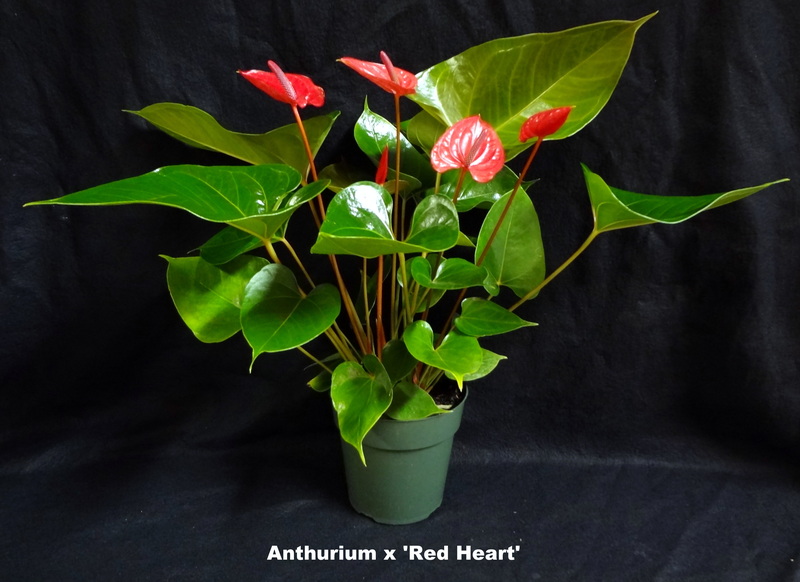 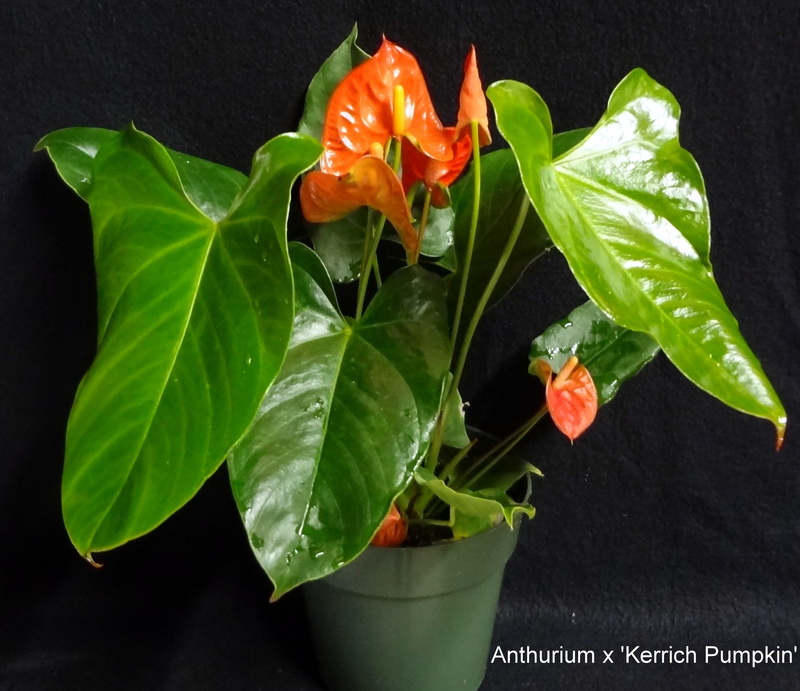 The majority of Anthurium species have plain green undistinctive bracts and if they known horticulturally they are grown for their unique growth habit, ie. 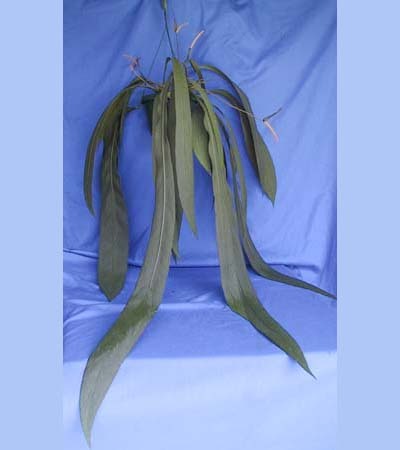 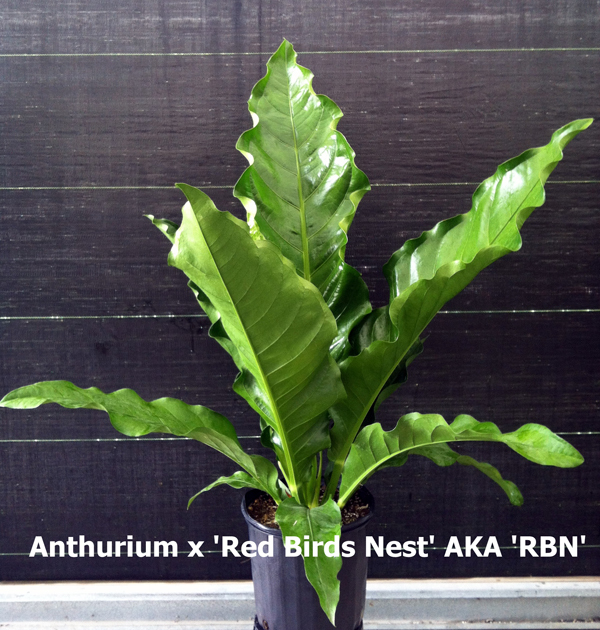 Bird's nest type, or their distinctive foliage, ie. 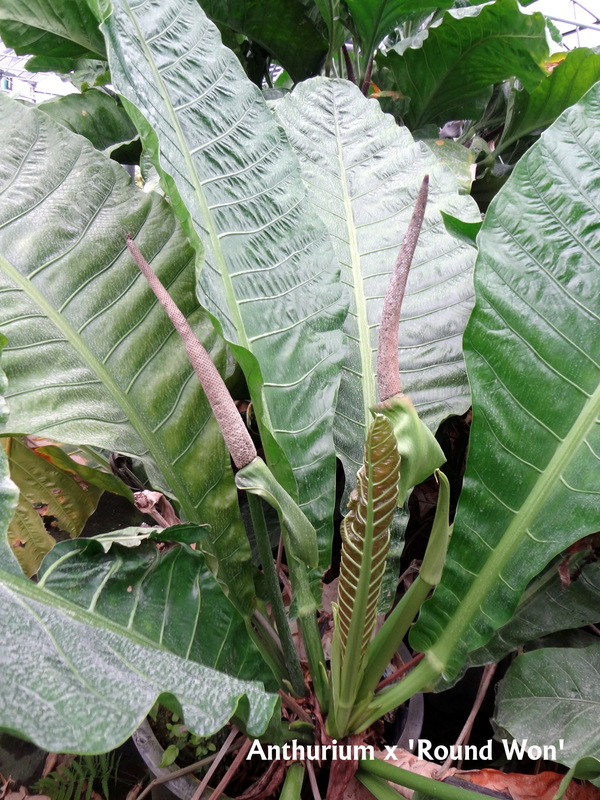 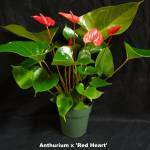 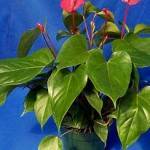 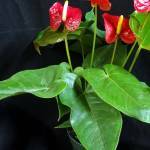 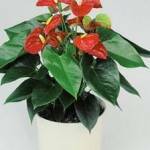 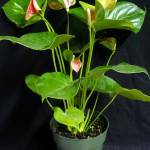 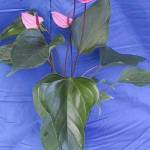 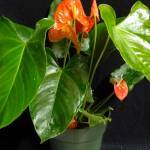 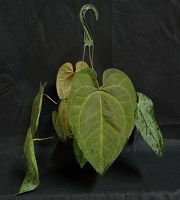 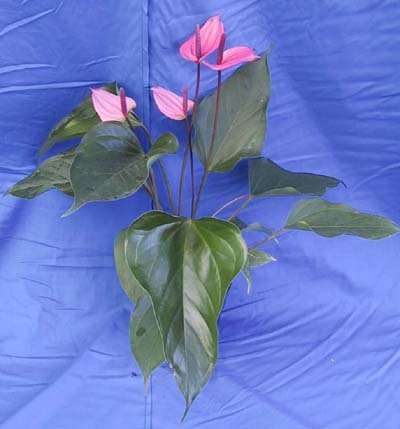 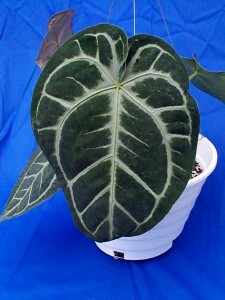 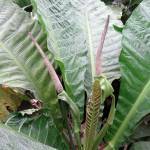 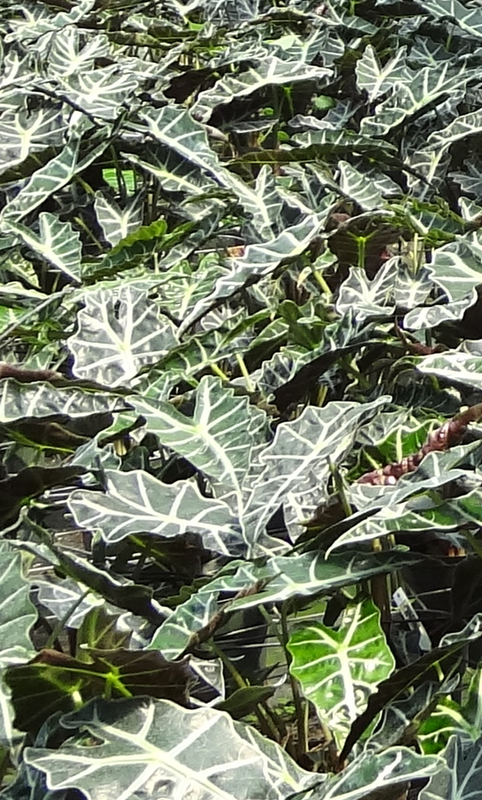 Anthurium Clarinervium, or both distinctive foliage and growth habit, ir. 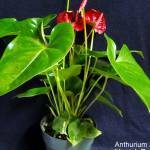 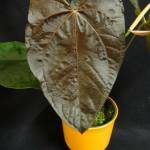 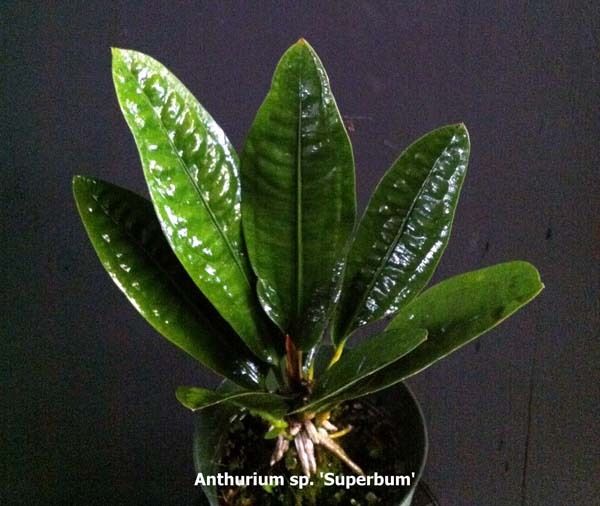 Anthurium Superbum. 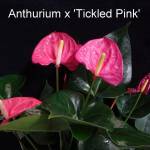 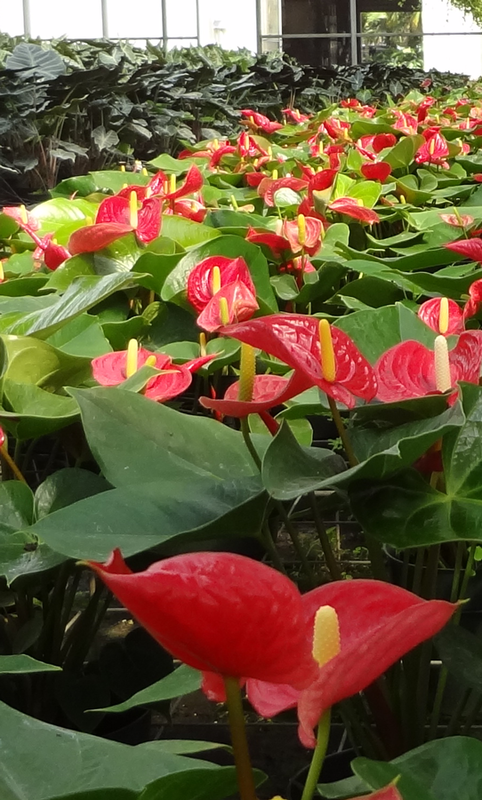 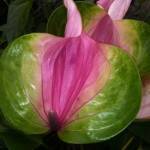 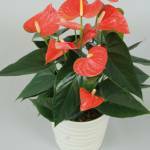 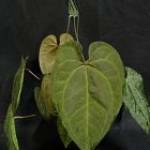 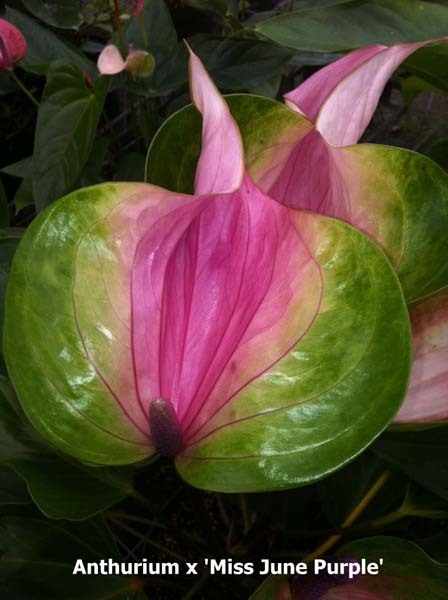 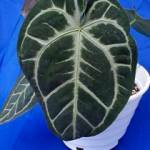 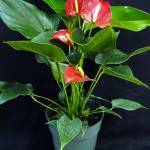 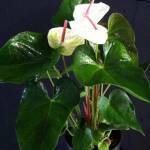 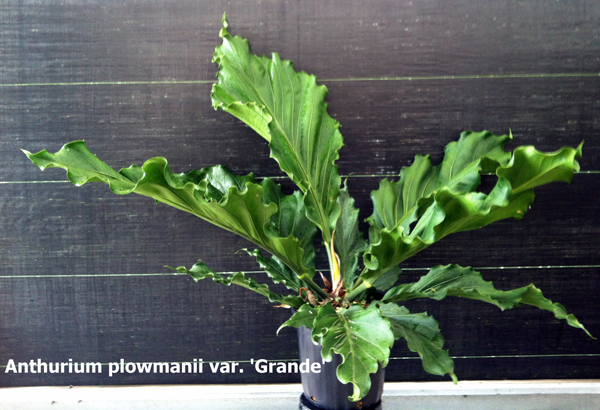 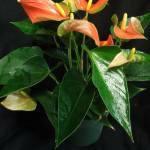 At Silver Krome Gardens we grow the flowering varieties, standard cut flower Anthurium Andreanum types and new hybrid. 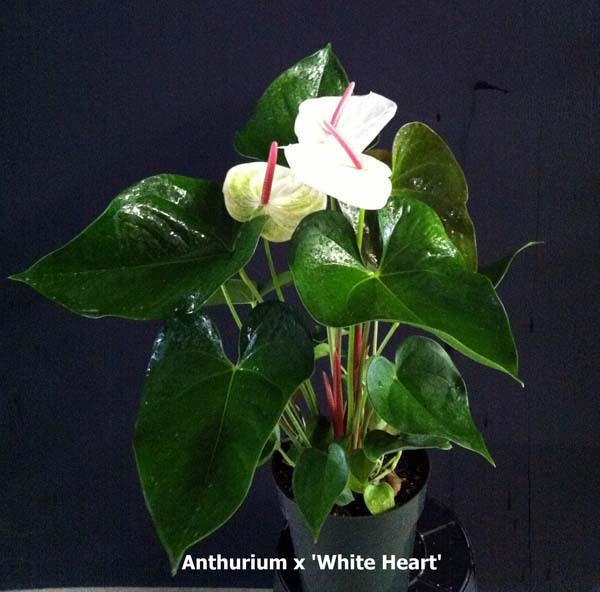 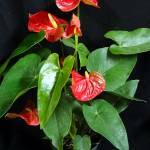 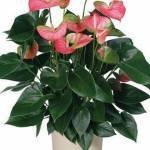 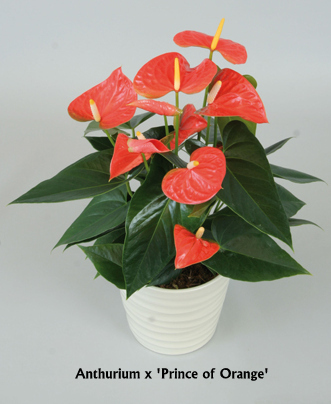 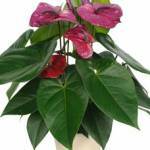 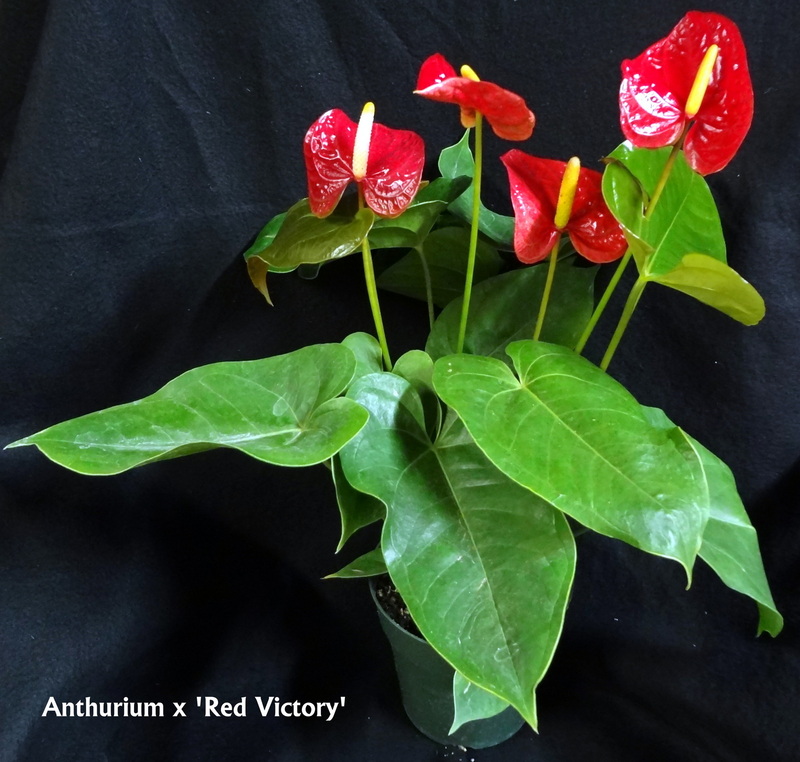 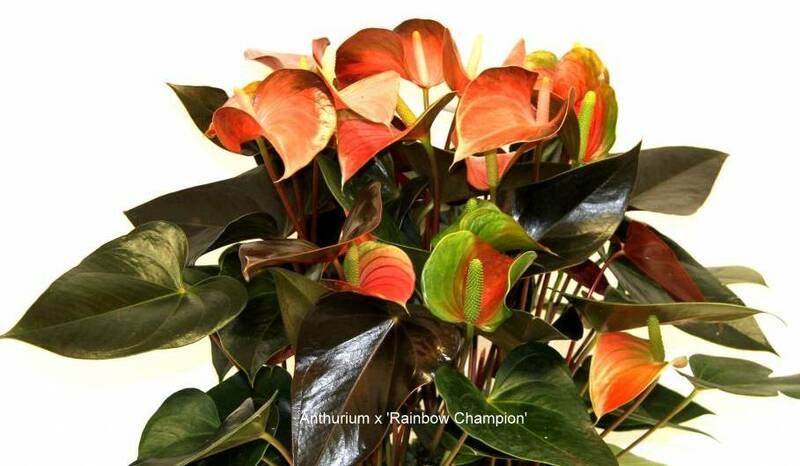 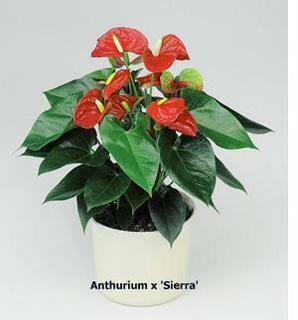 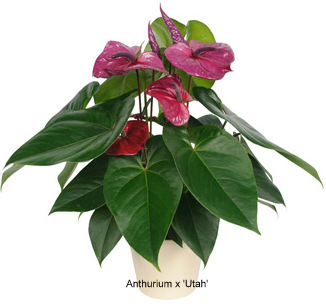 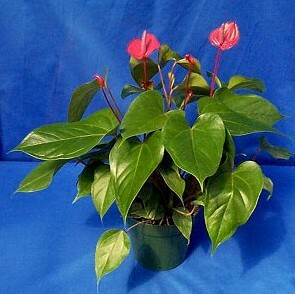 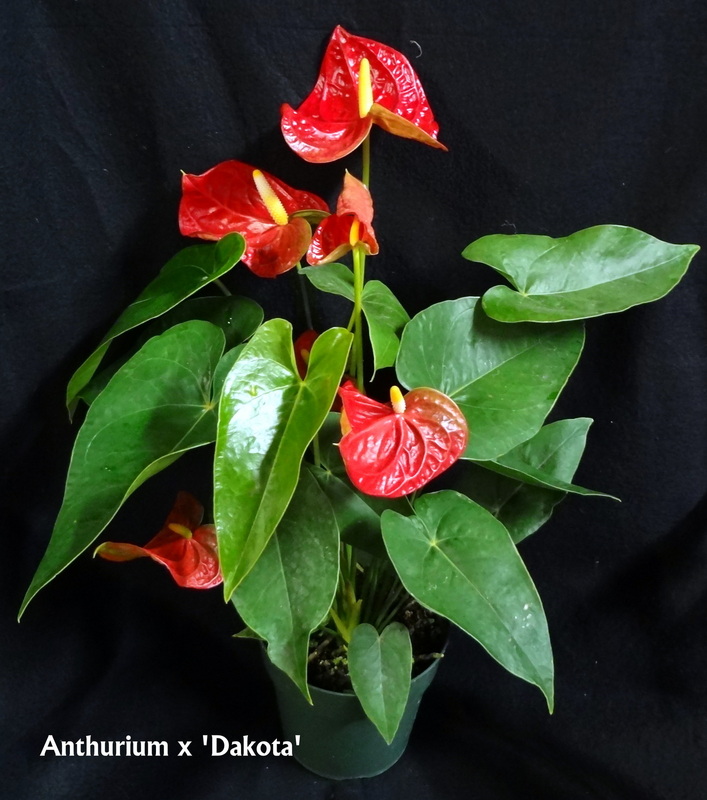 Anthuriums as a general rule prefer medium to bright light, a humid environment and good nutrition to bloom and thrive. 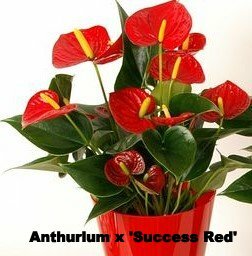 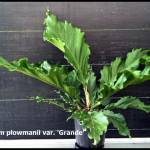 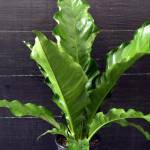 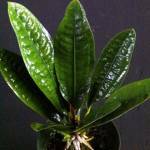 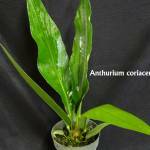 Lacking these and Anthurium can still survive and provide a beautiful plant for a long time, just don't expect it to grow and bloom a lot. 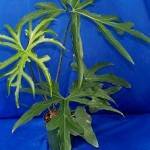 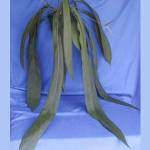 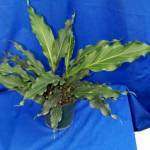 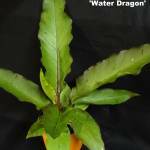 Pests to look out for: low humidity leaf burn and root rot if overwatered. 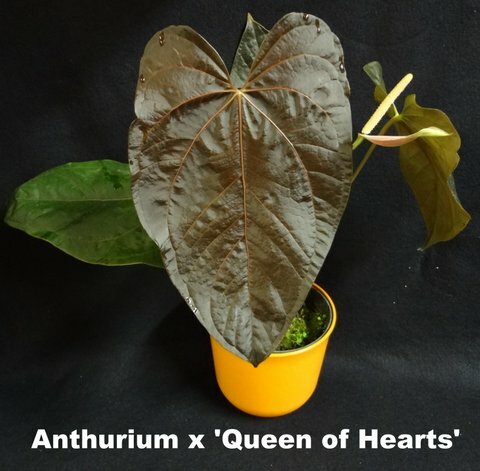 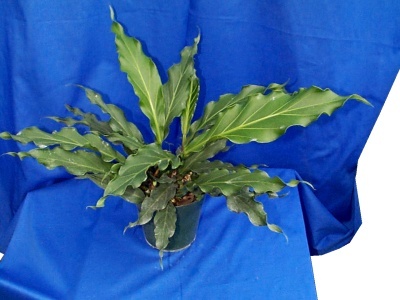 As a collector of Anthurium species with particular interest in Bird's Nest types (Pachyneuiums) and velvet foliage types (Cardiolonchiums) I occassionally have propagations or seedlings of some uncommon and unusual species. 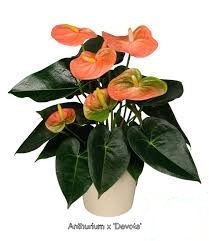 This is a short list of what I have. 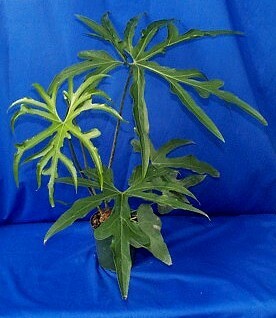 Call for an Availability on these and other species.